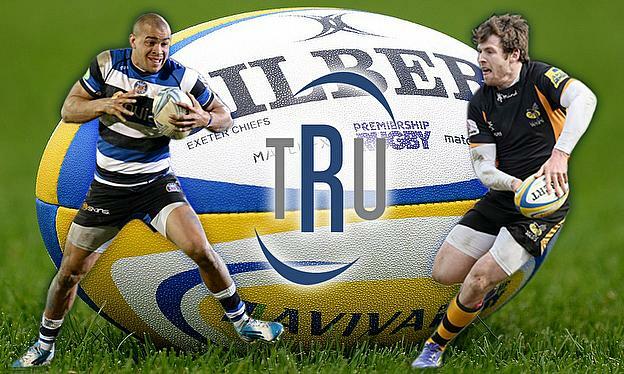 There may still be a few rounds to go in the Aviva Premiership season, but we have put together a collection of gongs for the teams and players – welcome to the TRU 2014/15 Aviva Premiership Awards. Waldrom came closest to usurping Joseph, but the former London Irish man has been in consistently sensational form all season for Bath, not to mention stealing the show in this year’s Six Nations. Joseph’s Bath teammates George Ford, Kyle Eastmond and Semesa Rokoduguni have all had moments of greatness this season, but none of the trio has been able to maintain the high-level performances that Joseph has. A dangerous attacking threat and an ever-improving defensive prospect, Joseph has been pivotal in turning Bath into a genuine title contender this season. Ford has every right to be aggrieved at missing out, as does Kvesic, who has been consistently impressive in a mercurial Gloucester side, but no young player improved their stock more this season than Daly. The elusive outside centre has carved up his fair share of defences this season and is unlucky to play in the same position as Player of the Season award winner Joseph and England’s most dangerous attacking weapon of recent years, Manu Tuilagi. His devastating arcing runs have become a highlight of the Premiership and expect him to kick on after the Rugby World Cup and make a case for England selection. Just under a year ago, Itoje made his senior debut for Saracens, featuring in their last regular season game of the 2013/14 season against Leicester. Since then, Itoje has captained the England U20 side to a Junior World Championship, captained Saracens in the LV= Cup, been selected for the England Saxons side and last week started for the North Londoners in their European Rugby Champions Cup semi-final against Clermont. The young lock’s rise has been meteoric and the sky certainly seems the limit for Itoje, who will now be keen to help Saracens finish the season strongly and put down a marker for RWC consideration. Another year goes by and it’s been another impressive job done by Diamond. Sale currently sit in seventh and are hunting for ERCC qualification, but have once again done it without the talent-rich squads of many of their fellow Premiership sides. Diamond’s ability to get the best out of his players, as well as pick up impactful players at affordable rates, helps single him out above many of his contemporaries. McCall’s leadership of Saracens to an ERCC semi-final, as well as Baxter’s and Young’s impressive Premiership campaigns, also deserve recognition. The powerful number eight currently leads the Premiership’s try charts with 13 and has been a revelation since his arrival from Leicester in the summer. Waldrom had looked bogged down at Welford Road, but his partnership with Dave Ewers in the Exeter back row has seen him rediscover the form that helped him break into the England team three years ago. Afoa and Lund have both provided veteran leadership at their respective clubs, whilst Socino has added much-needed incision to a Newcastle back line which struggled to score tries in recent years, but none have matched Waldrom’s impact at Sandy Park. Exeter have defied the odds every year since their promotion to the Premiership and are now heading towards ERCC qualification, which will see them partake in Europe’s premiere club tournament for the second time in their history. Despite relying on their academy as much as any Premiership team other than Harlequins, the Chiefs have remained competitive with the top teams in the league, even without making the high profile additions of many of their contemporaries. Wasps’ ERCC journey to the quarter-finals, in their first year back in the tournament after a three-year exile, whilst still keeping themselves camped in the top half of the Premiership table, deserves an honourable mention. Quins’ fall from grace this season has been dramatic. The Londoners failed to make it out of their ERCC pool and have lacked the firepower to consistently challenge the teams in the top half of the Premiership. Their struggles this season have sparked a spending spree, with James Horwill, Tim Visser and Adam Jones all on their way to The Stoop next season. Leicester and Gloucester have both had their struggles this season, but neither fell as far short of their potential as Quins did. London Welsh’s season has been a disaster, but given the quality of their squad, it is not entirely surprising. Concussions are a big issue in modern rugby and Saracens’ proactive approach to them this season has been refreshing. For all of 2015 so far, Saracens’ players have been wearing impact sensors which have been recording the angle, severity and frequency of hits to the head. They hope to use this information to better understand the nature of concussions within the game. Few other clubs have taken such steps and the club’s willingness to ask the hard questions in regards to concussion is praiseworthy. The award is shared with Thorn who, after amassing an enviable collection of trophies in both rugby union and rugby league, will call it a day at the end of the season. One of the most successful players to ever transition from league, 40-year-old Thorn has defied time to this point, carving out a niche for himself in a game dominated by physically extraordinary 20-somethings. He may not have ever reached the superstar status of Jason Robinson or Sonny Bill Williams, but Thorn blazed a trail that should see him remembered for a long time to come.